Since the early 1960s, we’ve had two kinds of automatic transmission shifters: The column shift and the floor shift in a console (forgetting the pushbutton TorqueFlite on the Plymouth Valiant). The last few years, shifter territory has turned into a Wild West, with manufacturers putting them all over the car, in any number of configurations. All three of these cars are terrific automobiles, but their automatic transmission shifter designs are just plain awful. Auto manufacturers used to be limited to just a handful of shifter locations, because the shifter had a mechanical connection to the transmission. Anything location that was further away than a few steel rods or a flexible cable could reach was out of the question. 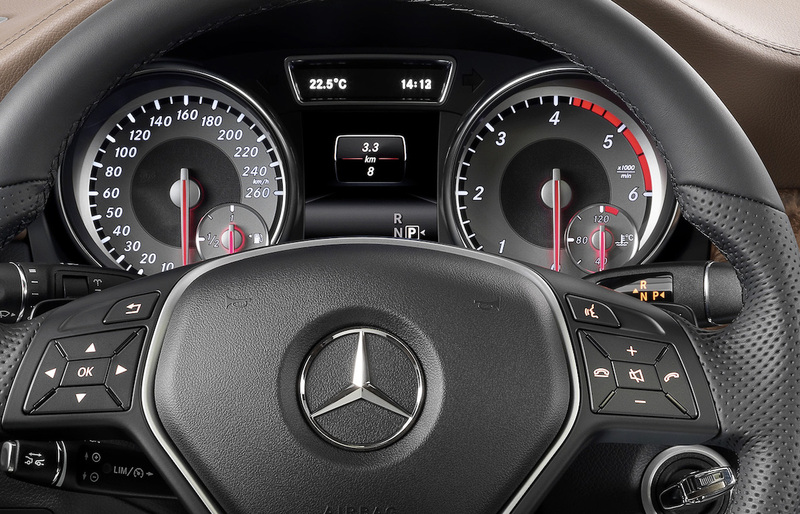 That all changed when shifters managed by complex electronics arrived in force at the turn of the 21st century. 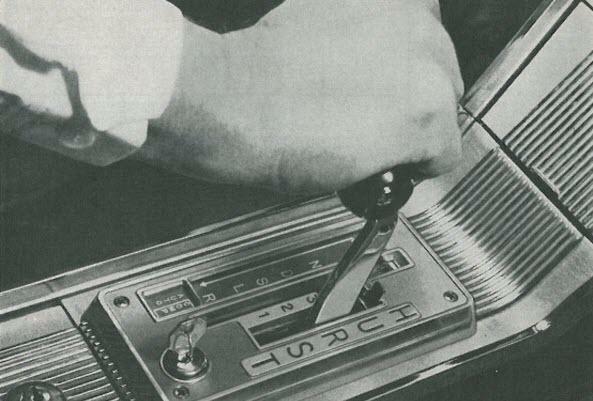 No longer were designers limited to shifter arrangements near to the transmission itself. There’s nothing wrong with reimagining how automatic transmission shifters work. The 2017 Lincoln Continental for example, does it right. The shifter moves from the console to a space to the left of the entertainment screen, in an intuitive row. Want Drive? Push the D button. Pretty simple. It results in a lot more space in the bin between the seats, and it puts functions you’ll do day in, day out, in a place that’s easy to reach and simple to understand. Unfortunately, some designers went nuts and started designing shifters that seem like they’re more for aesthetics than for function, and we’re left with several shifter designs that seem like they’re placed there solely to cause frustration. Selecting gears is a critical part of driving an automobile. It’s something that you’re often doing in the dark, dozens of times a day. It needs to be completely intuitive for the newest drivers, but also needs to take generations of muscle memory into account. Imagine being in an emergency situation and having to shift from reverse to drive in any of these cars, and you understand how important intuitive design is. When re-imagining gear selectors, designers and engineers need to be placed in an environment that simulates having to get the car moving while a stalker is walking up to the driver’s door, or a runaway cement mixer is seconds away from crushing the car to a powder. That test would eliminate these three poor designs immediately. 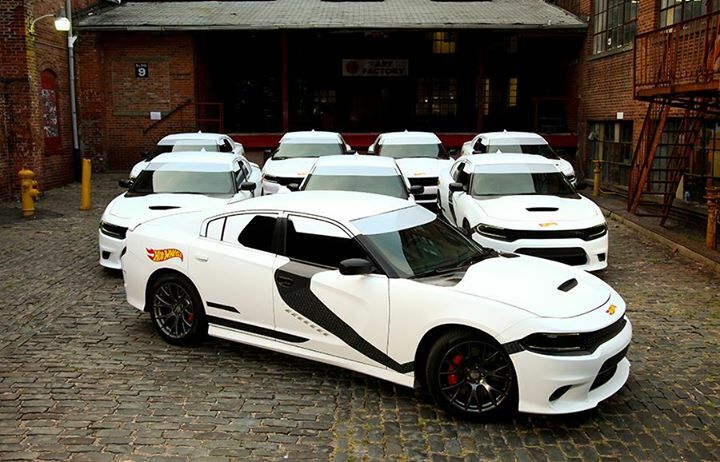 It’s caused a number of issues for FCA in the last year. 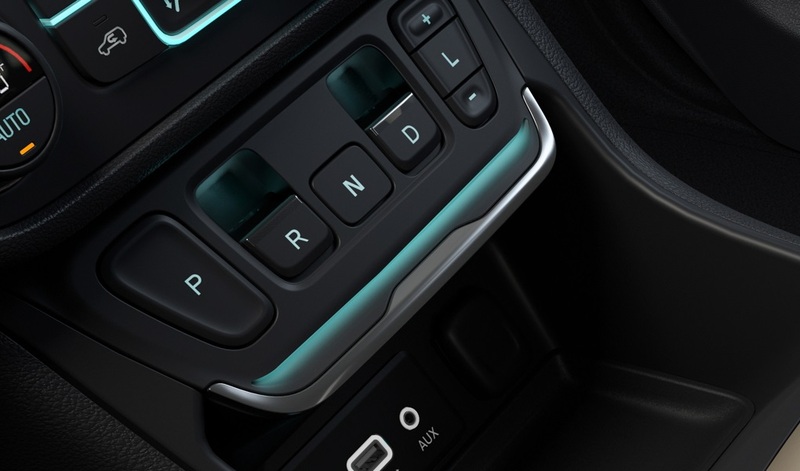 In April, more than one million FCA-produced vehicles with the eight-speed transmissions were subject to recall as part of an initiative to replace those Monostable shifters when 27-year old Anton Yelchin — best known for his role as Chekov in the most recently rebooted Star Trek films — was crushed to death when his 2015 Jeep Grand Cherokee pinned him against the brick column supporting the gate in front of his home. NHTSA urged the recall because of over 600 complaints from owners who had trouble using the “PARK” function. GMC just showed the new Terrain SUV at the North American International Auto Show in Detroit. It’s a handsome design that fixes a lot of the blandness the truck suffered from in earlier generations. One thing that’s not improved, though, is the shifter. 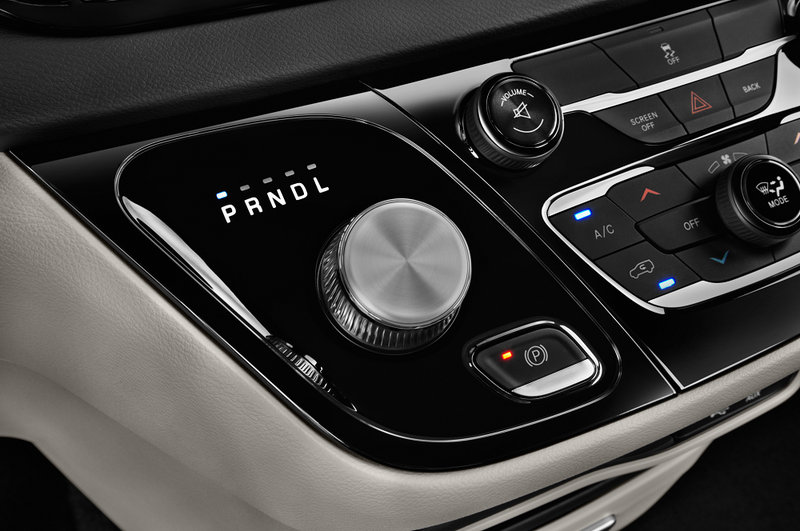 It’s called the Electronic Precision Shift, and it moves shifter from a traditional gearshift to a series of buttons spread across the center console. Reverse and Drive buttons appear to have been rescued out of the power window switch parts bin, and the Park button is in a position guaranteed to be pushed at an inopportune moment, such as hurtling down the highway at 65, trying to find the heated seat button. The selectable lower gears (the “L” with the “+” and “-” buttons) look as inconveniently placed as possible. Maybe it’s there to give the passenger something to do. Mercedes-Benz used to put automatic transmission shifters in the center console, and you’d run through the gears in a series of gates that provided some positive tactile feedback that you were, in fact, in a gear. Perfect. Today’s Mercedes-Benz automatic transmission gear selector is placed in a stalk on the right side of the steering column. Rather than a traditional “PRNDS” configuration, you push the stalk up for Reverse, and down for Neutral or any of the forward gears. Pushing the button on the end of the stalk puts the transmission in Park. The FMVSS guidelines don’t specify how Reverse is selected, which is how you end up having to shift up to go backwards in the Mercedes-Benz. Since the FMVSS regulations allowed for cars like the button-shifted Plymouth Valiant in the 1960s, the transmission shifter doesn’t actually have to have a “Park” position, which is how the button ended up on the end of the stalk. In a week of driving the Mercedes-Benz GLA 250 4MATIC, I’ve grabbed that shifter a dozen times looking for it to control the wipers. It’s a flimsy device that is begging to be snapped off at some point, and it requires concentration to figure out where reverse is. Either of these should’ve eliminated this bad design from consideration. We’re enthusiastic about the Chrysler Pacifica. It seemed like there wasn’t much more you could possibly do to the minivan, but Chrysler reinvented a tired minivan lineup with a vehicle that not only meets the needs of families but provides a true luxury experience at the same time. The one sour note is the rotary shifter. In previous years, we called out the Chrysler 200 for the same issue. It’s not as pronounced in the Pacifica for a couple of reasons, but the main issue is still that it’s a pretty puny little knob that’s relatively close to other knobs of similar size. Rotary shifters in general — like the one in all of Jaguar’s cars now — are a good space-saving solution, and Chrysler really made the most of it in the Pacifica. Most manufacturers use a rotary shifter and still leave it in a gigantic console, but Chrysler has moved it up out of the way, which is a good thing. We just wish it was the size of the Jaguar’s knob, to avoid confusing it with the radio and heat knobs when driving in the dark. The Acura TLX is one of those vehicles that buff magazines like to ignore in favor of sports sedans from Germany, while in actual fact it’s probably exactly what most entry-luxury car buyers should be driving. It’s also technologically proficient, with features like Lane Keeping Assist and Adaptive Cruise Control that preview what semi-autonomous cars will be doing for all us in the very near future. Unfortunately, it also features a poor shifter design on the V-6 model. 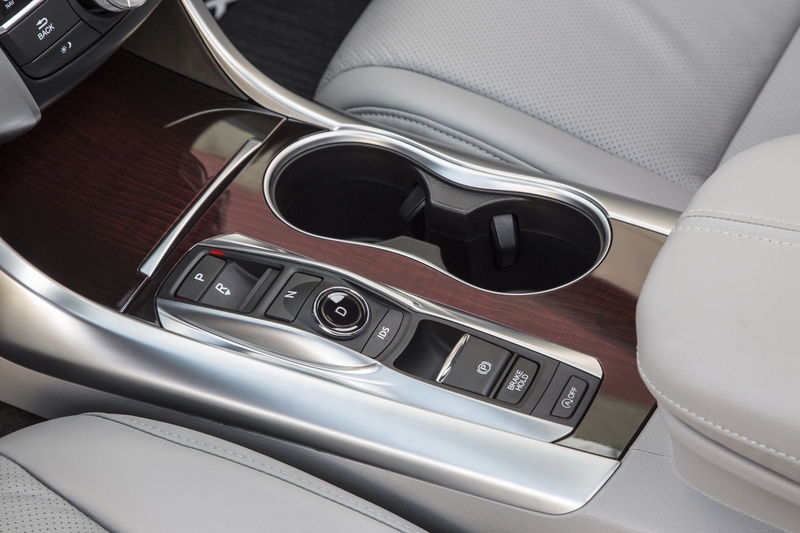 The four-cylinder TLX has an eight-speed transmission with a conventional, console-mounted shift lever. It works exactly the way console-mounted shift levers have worked since they arrived in the early 1960s. The Acura MDX we’re driving this week has the V-6 TLX’s shifter, too. 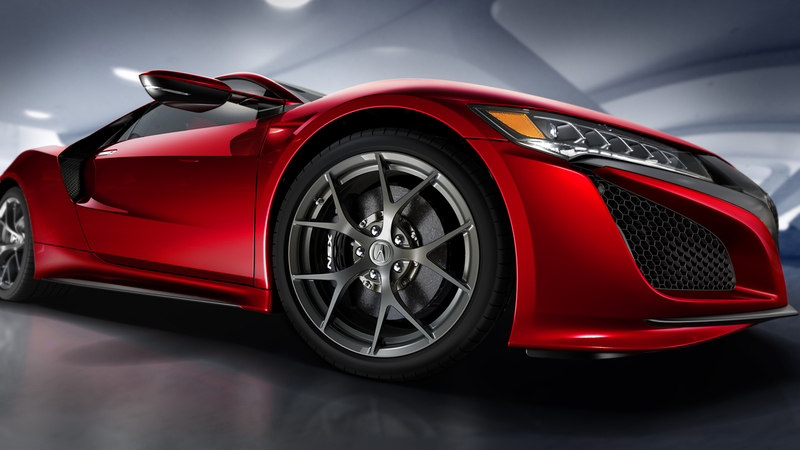 The V-6 models have a nine-speed automatic transmission selected by a series of buttons in the console. 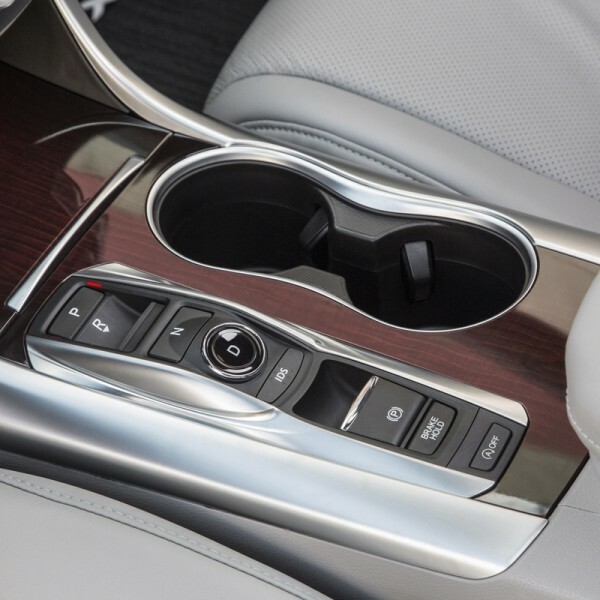 There’s no “shifter” per se, it’s just a series of differently shaped buttons that you push and pull to operate. The buttons are in a conventional “P-R-N-D” sequence. The P button engages Park. To select Reverse, you pull up a button nestled inside a half-cover. Neutral is the next rectangular button. Drive is a big, lighted, round button, and the parking brake is — again — a button you pull up to engage, similar to the Reverse button. The problem isn’t necessarily the sequence, which is fairly intuitive. It’s figuring out what part of this weird hand-eye-coordination exercise you’re supposed to execute, especially when you’re in a hurry. I was pulling out of a space in a crowded, pre-Christmas shopping center and needed to back into a space quickly as a line of cars was coming up behind me. Figuring out which button I was supposed to push, pull, slide or rotate while I was doing my best to not impede traffic resulted in a blue cloud of foul language. 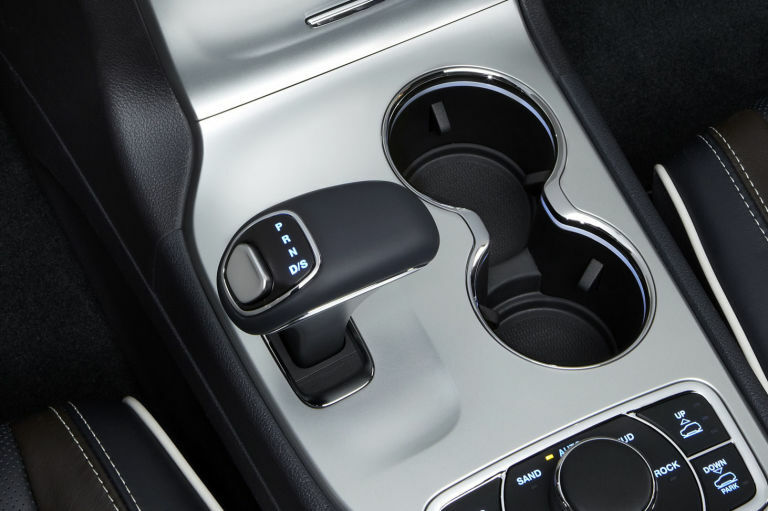 The promise of a shifter like this is that it takes up a lot less space than a conventional shift lever, but since the TLX still needs to provide the same console in the four- and six-cylinder models, it slots exactly into the same space as the regular lever. It’s a bad design in an otherwise terrific car. Honda and Acura usually get it right in all things, but this design that’s been in use for three years is getting no better and is still just as frustrating to use. You do realize the device with the (P) indicator – to the right of Rotary shifter in the 200 – is the electronic park brake actuator. It is not a device for selecting P; clearly PRNDS are all selected via the rotary knob as indicated in the PRNDS pattern. Tell your credibility I said hello (if you ever find it). Don’t drivec an acura or a honda with the techie nine speedmatic if you’re holding a student petmit. You state that Lincoln got it right. The new MKC was recalled because of the push button transmission. Because the buttons are located right next to the entertainment console, its very easy, while using your index finger on the touchscreen, for your thumb to press one of those buttons. On two occassions I accidentally pressed the “engine on/off” button and the car just stopped. Once I pressed the neutral button and the car just coasted. I had to think quick and had to actually stop the car again by braking in order to start it again. Extremely dangerous, especially if you do this while driving at highway speeds. Lincoln recalled the MKC for this issue, but I decided to get rid of it. It wasn’t worth risking my life. I like the traditional floor shifters, thats what my brain as been wired for, for 30 years. After having the MKC only 6 months and accidentally hitting the transmission buttons while driving several times, I got rid of the car. I took a huge hit financially but I am not willing to get into an accident because of this defect. I called my dealer and spoke to corporate Lincoln and filed a report with them. These buttons are placed too close to the touchscreen. My most recent incident while on the freeway, I was changing radio stations and my thumb hit “N”. It’s VERY scary. Why the heck wouldn’t they have some sort of default that these cant be engaged while moving? Horrible design. You mention rent a cars as a place to put flaky technology. I think not. One should be able to enter a renal car blind folded and find the controls without groping. When you rent a car at an airport, you will be exiting into traffic that is more concerned about finding gates and rental car return lanes than avoiding collisions with rental cars whose drivers are weaving in and out trying to find the wiper control to clear a splash of sleet. The Chrysler 200 is the worst of the breed. Wiper control on left of column. Rotary shift knob located with climate control knobs. Poorly located and marked radio controls. Gas filler cover door requires unconventional press in to open instead of internal lever control. Speed control buttons on wrong side of steering wheel. Phone control buttons on wheel are located where they get bumped accidentally and result in loud distracting audio warnings. This is the worst ergonomic design since the Edsel push button in the wheel, The controls are designed to provide livelyhood for liability lawyers, not to please rental car drivers. I will avoid renting any Chrysler and certainly won’t buy one.